Baltimore & Ohio Railroad was in need of new motive power to keep up with traffic the war generated. Management eyed towards new diesels but regelations restricted that option. Long story short, the EM-1 was developed and subsequently delivered by Baldwin in two batches, 20 in 1944 and another 10 in 1945. They were exceptionally well built machines and were after some teething problems well-liked by their train crews. The death knell of steam was already ringing and the class saw a scant fifteen years of service. Aesthetically they are among the finest of the American articulateds ranking (but that is personal) only behind the Norfolk & Western's A class and Cheasapeake & Ohio's H-8 (Allegheney) class. Union Pacific's Big Boys always seem to draw all attention when there is mention of articulateds. But B&O's EM-1 really stands up to the comparison. Weight on drivers (tons) 220 245 197 253 appr. 70 ? The strange fish in this table is the Dutch 6200 class. I included that class for comparison with the EM-1 as they both served the same purpose: hauling coal trains. I also finished the 6200 project just when the EM-1 came in. So in my mind they more or less "belong together". I bought my model by in November 2015 via Micro-Mark. 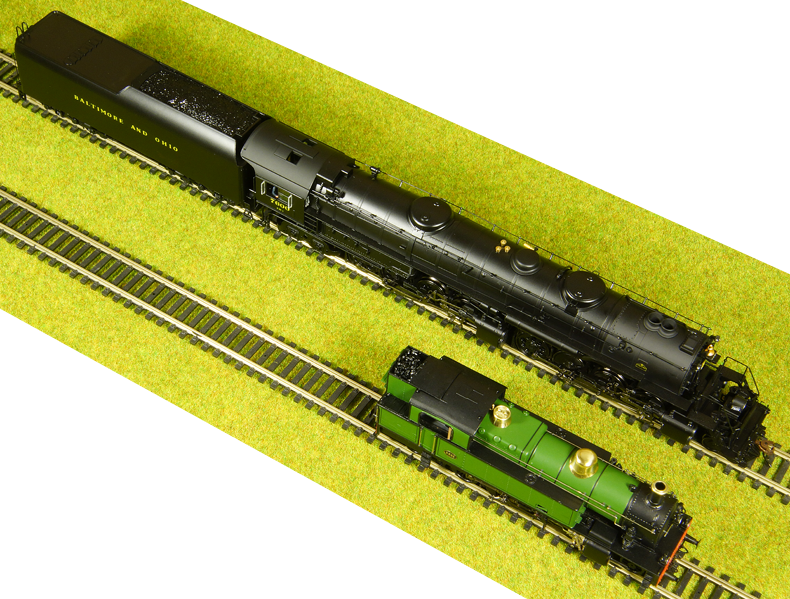 I had been eyeing towards that engine for quite some time and when Micro-Mark offered an unlettered version for a rediculous price ($186) I quickly decided. A small project saw the slightly damaged loco repaired and lettered.